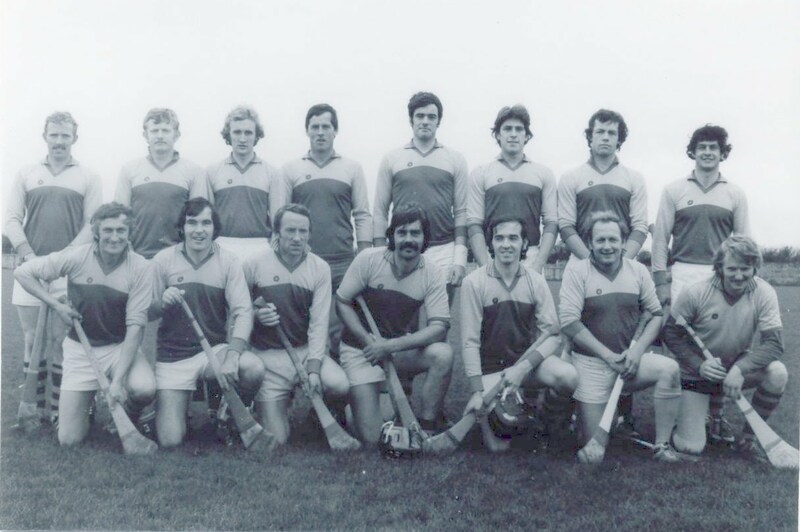 In the 1967, the first round of the Galway Senior Hurling Championship pinned the 1966 Senior Champions of Turloughmore against the 1966 Intermediate winners from Kinvara. Note: it would have been interesting if Kinvara were not missing the services of players of the calibre and skills of PJ Curtin and Mick Curtin (both playing in New York) and Enda and Colm Muldoon (both away). The magnitude of their absence can be best reflected in that they were once picked by a local legend on the best Kinvara team in the era 1940 to 1990. LAST year's County Senior Hurling Champions, Turloughmore, met last year's County Intermediate Hurling Champions, Kinvara, at Kinvara on Sunday in an hour of tough hurling. Both sides were fit and eager and the heavier fifteen took an early lead and refused to relinquish their hold for the whole game. Turloughmore had not the services of J. Rabbitt, Mickey Cullinane or Paddy Fahy and Kinvara fielded without the Muldoon brothers. Connors had a sitter but was beaten at the pull right in front of the Turloughmore goal-posts. In contrast, P. J. Qualter extricated himself from a group of players in the Kinvara area and having found his angle sent to the net for the opening score. S. Hession added a point for Turloughmore. When Kinvara's Kevin Sexton had touched in a lobbing ball which B. Madden let fall on the Turloughmore line the Kinvara forward on the spot failed to score. J. Gill counteracted a Kinvara passing movement and at centrefield there was much "timber." Kinvara pressed very hard and from a long range free J. Gill had a point for Turloughmore. The breeze helped Turloughmore considerably in the long range shots which the Kinvara backs blocked down but were slow to clear. P. J. Qualter had two goals because of this lethargy, and when Leo Finn had replaced Michael Mahon in the Kinvara goal F. Forde slammed in another goal. Colm Corless spearheaded the Kinvara attack and Kevin Sexton scored two points for Kinvara from close-in frees incurred from fouls on Corless. Kinvara's wing forwards failed to grasp opportunities to score and Turloughmore had three other points. Half-time score: Turloughmore 5-5; Kinvara 0-2. The strong breeze which had favoured Turloughmore was behind Kinvara after the interval. Turloughmore, however, had an early point but Kevin Sexton raised his side's hopes with a goal. Kinvara backs persisted in blocking down the ball for the alert Turloughmore forwards and thus the latter went further ahead with two points. T. Quinn had a point for Kinvara before Colm Corless had a great goal. Hession and Duffy exchanged places on the Turloughmore side and Duffy had a quick goal. Still Kinvara pressed and a Turloughmore back was sent to the line by the referee. Seamus Murphy fell back from centrefield and cleared his lines and when Kinvara had a point Turloughmore had two at the other end before the finish. B. Madden was well covered in the Turloughmore goal and had a good game. The best backs were Pakie Burke, J. Gill and P. Caulifield. Teddy Duffy and Seamus Murphy had the edge at centrefield. The pick of the forwards included P. J. Qualter, Mike Cullinane and F. Coffey. For Kinvara, both M. Mahon and L. Finn never saw some of the shots that passed them in goal. Best backs were W. Connors, M. Whelan and John Joe Linnane. Kevin Sexton and Paul Shaughnessy played well at centrefield. Colm Corless, Tommie Quinn and J. Curtin were the best forwards. Turloughmore's scorers were M. Cullinane (0-5), S. Hession (0-2), P. J. Qualter (2-0), F. Forde (1-0), S. Coffey (1-2), T. Duffy (2-0), J. Gill (0-1). Kinvara's scorers were K. Sexton (1-3), Colm Corless (1-0), T. Quinn (0-1). TURLOUGHMORE: B. Madden, M. Long, P. Burke, P. Caulfield, P. Langan, J. Gill, M. Fahy, Teddy Duffy, S. Murphy, T. Duffy, F. Coffey, F. Forde, S. Hession, P. J. Qualter, M. Cullinane. KINVARA: M. Mahon, W. Connors, D. Forde, A. Connors, M. Whelan, J. Connolly, J. J. Linnane, P. Shaughnessy, K. Sexton, M. McMahon, T. Quinn, J. Curtin, H. Connors, C. Corless, J. Mitchell. Referee was Aubrey O'Higgins (Ardrahan).